It’s that time of year again. Thanksgiving is next week and Christmas will be here before you know it. If you are like me, you probably haven’t done much Christmas shopping in a mall since circa 2008. Online shopping is easy and convenient. I don’t have to wake up early to catch the sales, and I can easily click and add to cart when the kids are snug in the bed. But with a rise in online shopping, also comes a rise in cyber theft. Thankfully, my husband happens to be an expert in cyber and network security and is also licensed as a Certified Ethical Hacker, so it’s safe to say he knows a thing or two about how the bad guys go about getting your personal information while you shop in your pajamas, and also how to prevent it. I get it. Credit cards can be the devil. We shop and shop and rack up a high balance without even knowing it. But credit cards are the safest currency to use online because it is the most protected. Regularly review your statements and notify your credit card company immediately if you notice anything suspicious. If your credit card company offers mobile or email alerts about unusual activity, sign up for them. It’s always better to be safe than sorry. While most bank cards are safe, should your information happen to be compromised, it’s always easier to stop charges on a credit card versus someone who has gained access to your checking or savings account. If that deal sounds too good to be true on that website you never heard of, it probably is. You wouldn’t hand over your credit card to some random guy on the street, why would you do it online? Make sure to shop at sites that have SSL (secure sockets layer) encryption. The URL for the site should start with https:// (instead of http://). An icon of a lock should also appear, either in the status bar or next to the web address, depending on your browser. Free WiFi is awesome, and there may be times when you are standing in line at a coffee shop and hear about a flash sale on a Hatchimals Egg and have an impulse to jump on the free Wifi and order then and there. DON’T. Open WiFi is one of the easiest ways a hacker can gain access to your information. If free/open WiFi is your only option, be sure to use a Virtual Private Network (VPN) service when required to share sensitive information. No merchant is going to need your birthdate, social security number or mother’s maiden name to complete a purchase. Be careful what you information you share online. If it seems even the slightest bit suspicious, don’t go forward with the purchase. While it might seem like an annoyance to have an unique password for every site we use, it is vital to online security. If your email should happen to get hacked, you don’t want a thief to have access to your bank or credit card account because it’s just easier to use the same password for everything. Make your passwords unique. Mix upper and lower case letters, use numbers and symbols throughout. Write down your passwords, in pencil, and keep it someplace safe to remember them. Why pencil? Because its important to regularly change them. The best way to stay protected online is to regularly run anti-virus software on your computer. Your internet service provider may offer the software free of charge, but if not it is definitely worth every penny to purchase a subscription. Anti-virus software will run automated updates on your computer, but it is wise to do a weekly scan yourself as well. 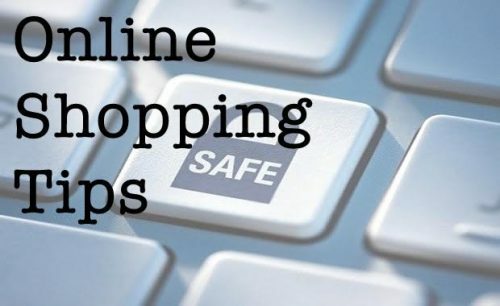 And the number one way to protect yourself while shopping online? 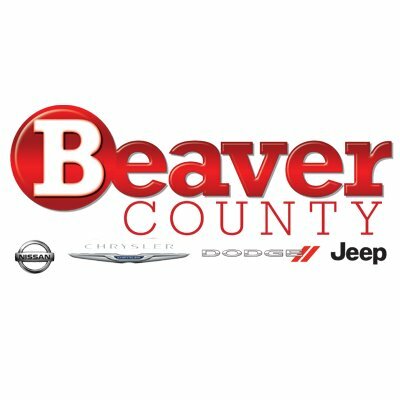 Skip the online sales and “shop small” at the many, many small businesses in Beaver County! There is nothing like giving a unique, one-of-a-kind gift…or even getting a little something for yourself!  Archived in General, Lifestyle, Shopping, Stories.